Water shortages in the Palestinian Authority are the result of Palestinian policies that deliberately waste water and destroy the regional water ecology. The Palestinians refuse to develop their own significant underground water resources, build a seawater desalination plant, fix massive leakage from their municipal water pipes, build sewage treatment plants, irrigate land with treated sewage effluents or modern water-saving devices, or bill their own citizens for consumer water usage, leading to enormous waste. At the same time, they drill illegally into Israel’s water resources, and send their sewage flowing into the valleys and streams of central Israel. In short, the Palestinian Authority is using water as a weapon against the State of Israel. It is not interested in practical solutions to solve the Palestinian people’s water shortages, but rather perpetuation of the shortages and the besmirching of Israel. A significant public debate has been sparked by the assertion of European Parliament President Martin Schulz that the amount of water available to the average Israeli unfairly overwhelms the amount of water available to the average Palestinian. The main issue that should be discussed – and has not been sufficiently analyzed – is: What are the causes of Palestinian water supply problems? The Oslo agreements grant the Palestinians the right to draw 70 million cubic meters from the Eastern Mountain Aquifer (ground water reservoir). Yet this water resource is not currently being capitalized on by the Palestinians; the waters spill untapped underground into the Dead Sea. As per the Israeli-Palestinian agreement, some 40 sites were identified for drilling into this aquifer in the eastern Hebron hills region, and permits were granted to the Palestinians by the Israel-PA Joint Water Committee. Nevertheless, over the past 20 years, the Palestinians have drilled at just one-third of these sites, despite the fact that the international community has offered to finance the drilling of all sites. If the Palestinians were to drill and develop all these wells, they could have completely solved the existing water shortage in the Hebron hills region. But the Palestinians have preferred to drill wells on the Western Mountain Aquifer, the basin that provides groundwater to the State of Israel. Instead of solving the problem they have chosen to squabble with Israel. The Palestinians do not bother fixing water leaks in city pipes. Up to 33 percent of water in Palestinian cities is wasted through leakage. Upkeep on the Palestinians’ urban water infrastructure has been completely neglected. By comparison, leakage from Israeli municipal water pipes amount to only 10 percent of water usage. The Palestinians absolutely refuse to irrigate their agricultural fields with treated sewage effluents. By comparison, more than half the agricultural fields in Israel are irrigated with treated waste water. Irrigating Palestinian agricultural fields with recycled water instead of fresh water would free up large amounts of water for home usage. This would greatly reduce the water shortage in many places. Some Palestinian farmers irrigate their fields by flooding, rather than with drip irrigation technology. Drip irrigation, as practiced in Israel, brings water directly to the root of each plant, thereby reducing water consumption by more than 50 percent. Flooding fields causes huge water evaporation and leads to great waste. The international community has offered to build a desalination plant for the Palestinians in the Gaza Strip. The Palestinians have refused this gift. A desalination plant could completely solve the Gaza Strip’s water shortages. The Palestinians refuse to build this plant because they claim they have the right to access the fresh groundwater reservoir in Judea and Samaria, and they are prepared to suffer until they realize this dream. In the meanwhile, Gaza residents suffer from severe shortages of water. These basic, undeniable facts are extremely important because they have wide-ranging consequences. If the Palestinians were to begin drilling the Eastern Mountain Aquifer, at the sites already approved for drilling, they very quickly would secure an additional 50 million cubic meters of water per year. If the Palestinians were to reduce urban water waste from 33 percent to 20 percent by fixing the main leaks in their urban water pipes (something that can be done without great effort), they would immediately benefit from 10 million additional cubic meters of water per annum. If the Palestinians were to collect and treat their urban waste water, they would gain at least 30 million cubic meters of water a year. This would free up 30 million cubic meters (per annum) of fresh water, currently used for agriculture, for home usage. This would allow them both to improve their urban water supply and to expand agricultural lands. If the Palestinians were to adopt drip irrigation technology, they would save 10 million cubic meters a year. This would allow them to expand their irrigated lands. In the Gaza Strip, too, the Palestinians could easily double the amount of water available, without additional assistance from the State of Israel. If the Palestinians agreed to build a desalination plant on the Gaza coast (funded entirely by the international community), they would increase the amount of water available by 60 to 100 million cubic meters a year. If they fix leakages, treat and recycle sewage, and adopt drip irrigation, they would double their water allocation, as well. Unfortunately, the Palestinian Authority’s deleterious policies – as evidenced in the six facts listed above – are a function of the Palestinian water war against Israel. There is no real Palestinian desire to solve water problems; they prefer to perpetuate the water problems in order to besmirch the State of Israel. They view water as a tool with which to bash Israel. The warlike strategy adopted by the Palestinian Authority regarding water explains several additional realities. Illegal drilling of wells: As of 2010, the Palestinians had drilled about 250 unauthorized wells into the Western and Northern Aquifers, in violation of the Oslo agreements. Since 2010 the number of unauthorized wells being dug has continued to rise at an alarming pace. This has caused a reduction in the natural discharge of water in the Beit Shean and Harod valleys, forcing Israeli farmers to reduce their agricultural plantings. Ultimately, the State of Israel has been forced to reduce its pumping at the Mountain aquifer from 500 million cubic meters per annum in 1967 to about 400 million cubic meters per annum today. The Palestinians also steal water by pirate tapping into pipes belonging to Mekorot, Israel’s national water company. As a result, Mekorot’s ability to supply water to Israelis and Palestinians alike has been compromised. The stolen water is used mainly for agriculture, not for home usage. Sustainable development: The PA purposefully flaunts the principle of “sustainable development” – a core standard of effective and modern economic management – in every way. Authorities that do not fix water leaks, do not collect and treat sewage, refuse to conserve water used for agriculture, and do not collect payment for water usage are in flagrant violation of this principle. Which brings us to another dirty little secret about the Palestinians: most West Bank and Gaza residents and businesses do not pay the PA for the water they use, in either their homes or fields. There are simply no water meters on pumping wells and no water meters at the entry to most homes, so it is impossible for the PA to measure the amount of money owed by individual consumers. This, of course, leads to widespread water waste. People who don’t pay for their water usage have no motivation to conserve. Reliance on Israel: The Palestinians purchase about 50 million cubic meters of water from Israel’s Mekorot water company each year, but the Palestinian Authority does not pay for this water directly. Rather, the State of Israel pays Mekorot, and then deducts the costs of the water from the customs and tax monies that Israel collects on behalf of the Palestinian Authority at Israeli ports. However, it must be noted that the Palestinian Authority pays Mekorot for just 80 percent of the actual cost of the water it consumes. Negotiations to raise water prices have dragged on for more than 10 years, and Israel has given up many times. Because the water market is administered in an opaque fashion, the Israeli consumer effectively subsidizes the Palestinian consumer. The average Israeli pays approximately 10 shekels per cubic meter of water. About 0.2 shekels of that fee goes to subsidize the water provided to the Palestinians below cost. The sum total of the situation described above is that the Palestinian Authority is using water as a weapon against the State of Israel. It is more interested in reducing the amount of water available to Israel, polluting natural reservoirs, harming Israeli farmers, and sullying Israel’s reputation around the world than truly solving water problems for the Palestinian people. The Palestinians are not interested in practical solutions to address shortages; rather, they seek to perpetuate the shortages, and to blame the State of Israel. Unfortunately, President Schulz’s Knesset address, with its seemingly-straightforward but baseless accusations against Israel, suggests that the PA is succeeding in this effort to befuddle international observers and besmirch Israel. Beyond the conclusion reached above, it is worthwhile to consider a broader perspective on the water situation in the Middle East. The Palestinians live in the shadow of the State of Israel, a world superpower in terms of water technologies. Consequently, the Palestinians enjoy a relative Garden of Eden. Only in Israel, in the West Bank, and in Gulf States does sufficient, safe, drinkable tap water exist in 96 percent of households. Residents in almost every other country in the region suffer from terrible water shortages. 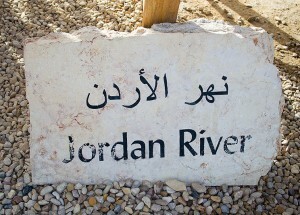 In Amman, the Jordanian capital, water is supplied to private homes just once every two weeks. In Syria, agricultural fields in the Euphrates Valley are drying up due to the upstream diversion of water by the Turks. In recent years (before the “Arab Spring” began), about three million farmers migrated from the Euphrates Valley to the outskirts of Damascus because their lands had dried up. In Damascus, too, the water running in the river beds, which used for drinking, is mixed with sewage. In Iraq, agricultural fields are drying up because waters upstream on the Euphrates and Tigris rivers are being diverted by the Turks. There too, millions of farmers lost their lands. In Egypt, enormous amounts of water are lost due to flood irrigation. The Nile provides 30 times more water than Israel’s annual usage and Egypt’s population is just 10 times greater than Israel. Therefore, we would expect to see a water surplus. Nevertheless, Egypt suffers from severe hunger and thirst due to severe wastage of water. In North Africa too, there are insufferable water shortages. By contrast, the State of Israel creates artificial water (desalinated seawater and recycled sewage) and behaves frugally and effectively, and as a result there is no shortage of water, despite having experienced many years of drought. Furthermore, the State of Israel is a net exporter of water! Israel supplies 55 million cubic meters of water each year to Jordan, and sells 50 million cubic meters to the Palestinians. In the future, if and when peace is achieved, and cooperation is truly desired by the Palestinians – which they do not currently seek – the State of Israel will be ready and able to assist its neighbors in overcoming their water shortages. See also these articles on water: "What Retreat From The Territories Means For Israel's Water Supply," by Aubrey Wulfsohn here and "Water In Israel: The Dry Facts," by Martin Sherman here.